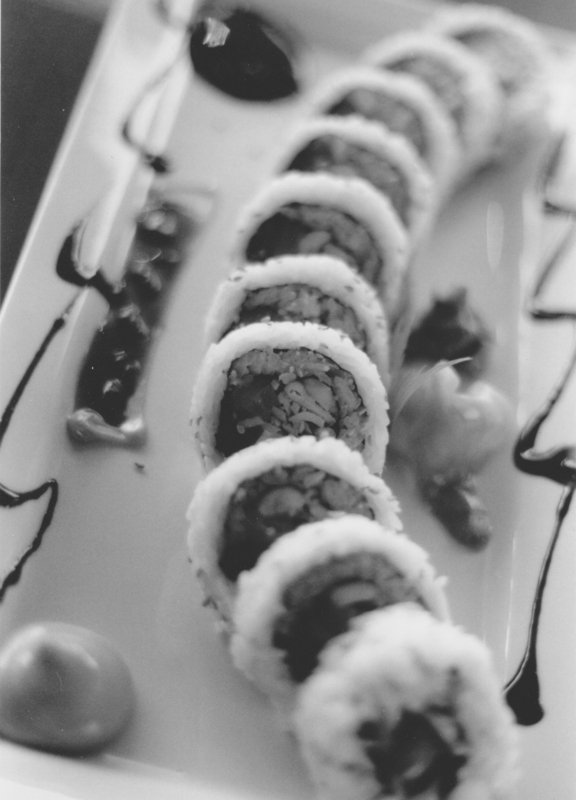 If you are following my series on film photography you might wonder what happened to roll #3. Well, when I started this project I bought several rolls of film, all Kodak T-Max. The first two rolls were 100 speed, the last 2 were 400. I made the mistake of making adjustments to my shutter speed and aperture based on the results from Roll 2 and all of my outdoor shots were completely washed out. Seriously, I should have known better – it’s like ramping up the ISO on my digital and shooting towards the sun. The thing about film photography is that you need to slow down. I shoot almost intuitively when I see something that intrigues me. As I get reacquainted with film I have to plan more and shoot less. I knew I needed to make some changes. 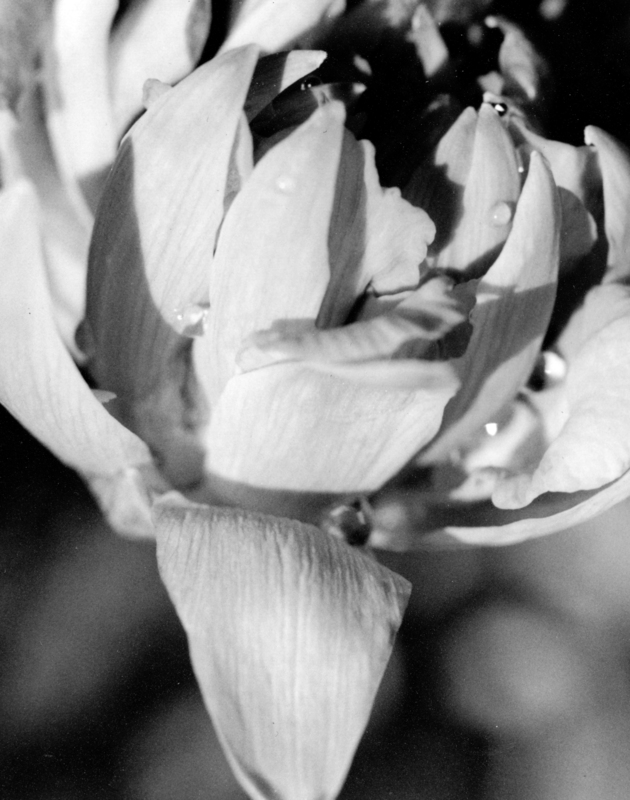 Something I have learned is that when you have your negatives scanned, they are quite grainy – this is evident in Roll 2. For this and all future rolls I am having prints made and am scanning them myself – it gives a better sense of what a print looks like, the grain is smoother but still evident. Another change is that I acquired a new camera. I was able to get a whole Olympus OM-1 kit with several lenses and filters at a great price. The OM-1 is a professional grade camera. It has a locking mirror, interchangeable focus screens. It also has a lever on the lens that lets you see the effect of an aperture change – it shows you how the DOF will appear in print – while it’s certainly not Live View, it does give you a better sense of what you are shooting. Small, efficient, and packed with features – the OM-1 was the coolest piece of camera tech you could buy in 1973. 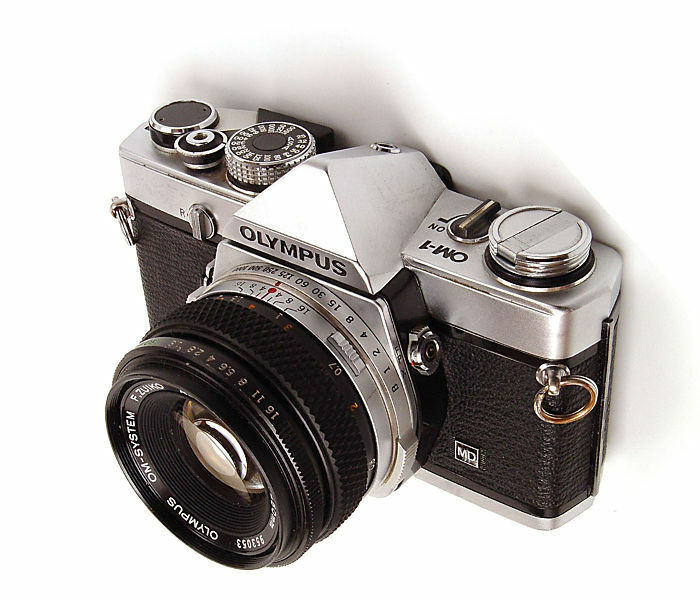 The OM-1 and the whole OM system were revolutionary in the 1970s. Full functioning SLRs in what seemed like impossibly small packages at the time. The OM is a fraction of the size of a modern Nikon or Canon DSLR – it is almost exactly the same size as my OM-D that I carry everyday. When you combine this with a dizzying array of high quality lens options – you get a system that stands up better than most over time. Most of the lenses us the same filter size, so you can carry one set in your bag and only need one lens hood – very smart. The lenses are surprisingly compact too – they were designed to sit a bit closer to the mirror than other systems so they needed less length to achieve the same focal distance. I started shooting Olympus Pen digital cameras when they were introduced a few years back because my OM system lenses were so adaptable – some of these lenses give amazing results still today. My post about luna moths features a few macro shots taken with my OM Macro Bellows set-up. Having seen the disaster of Roll #3, I am glad that I chose to shoot the new camera in mostly indoor and low light situations. I paid closer attention to the light meter and made use of the DOF preview button – I had no idea what that button was until I acquired this camera kit complete with a users manual. It’s funny that I don’t think about focusing at the mid-point of an image very often on my digital camera – shooting film and seeing those focus screens has made me more aware of this option. This is one of the many things I have taken away from my film project. I took to a shady spot and watched the light meter closely, hoping that I could capture some water drops after the rain. Shooting in black and white is making me think a lot more about contrast. Color is what motivates me to shoot many things and stepping back has made me look more for tonality even in color images. Understanding how the pieces – aperture, shutter speed, film speed – all work together made me look for lower light opportunities to shoot. 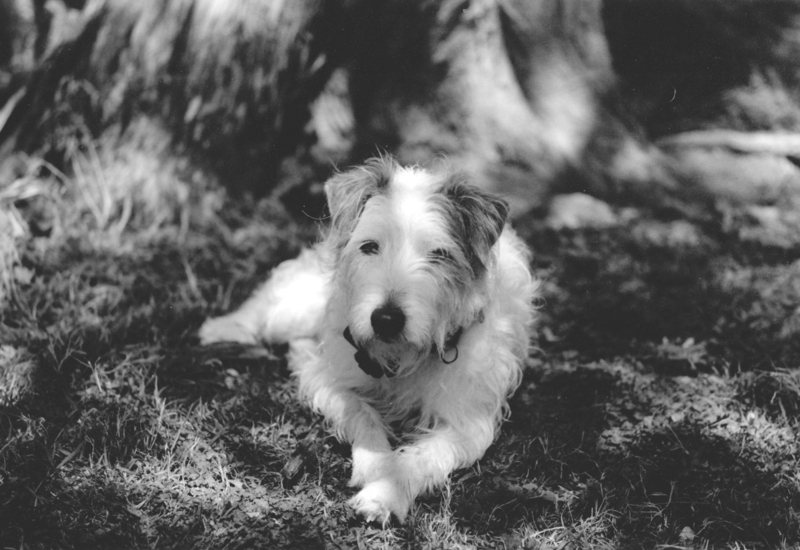 This shot of Kirby was made with the aperture closed down in a shady spot. He rarely lets me get this close with a camera, especially one that takes time to get right. I like the tonality of his white fur in the sun against the darker greys of the tree bark. The OM-1 kit I bought came with a “fast fifty” – a 50mm 1.4 lens. Sometimes I forget how shallow DOF can be when shooting a 35mm camera. My area of focus here is about 2 inches deep. 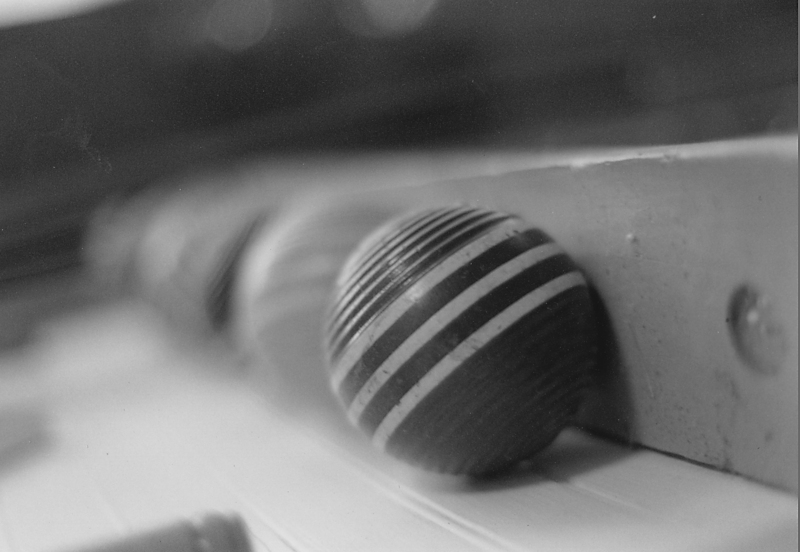 I love the ability to focus on just the front of the croquet ball. In my digital world DOF is more isolating – there is less ability to make something just trail off into the bokeh. I also thought that a shot of something with such distinctive colors was fun to explore in black and white. This last shot is my favorite – I shot it 5 times, each time placing my focus in a slightly different spot – risky when you have so few shots to work with. On this roll I did that with most of these subjects – working on getting one good shot rather than a wide variety of subjects. I think this will help me dial in my technique. This shot is taken on my kitchen counter – I have a skylight above that creates the light reflections on the upper right side of the jar. This is a row of different sized mason jars containing bird nests. In the foreground there are stone artifacts and arrowheads that I have picked up in my lawn over the years. The rubber ducky soap dish is the only element that pulls me back into this century when I look at it. I am pleased at how the reflections in the jars behind the first one become spheres of light. I like the detail in the nest and all the tones of grey in the whole thing. It’s not perfect, but it was the shot closest to what I imagined when I shot it. I think I will continue with the OM-1 for my next couple of rolls. I like this camera and I want to hone my skills rather than switch around. I’m a couple of months behind – I need to start ordering film online – it’s just not available locally, but I am going to get some 100 speed and really get the hang of shooting in brighter light with it this summer. This entry was posted in Film Photography, foliage, Photography, still life, wildflowers and tagged black and white photography, bokeh, Depth of Field, Film Photography, macro photography, Olympus OM-1 by artsifrtsy. Bookmark the permalink. You’re pictures are always very inspiring, I’m actually thinking of saving up to get myself a good camera and start getting into photography more myself. At the moment I’m using the camera on my phone, which is a pretty good one for a camera on a phone, but I’d like a more professional camera. Which would also save the battery on my phone ;). Thank you! I’m an advocate of always having a camera with you and sometimes that may be just a phone. As good as they have gotten, they are still pretty limited – even a point and shoot is a good step up. I always wanted an OM-1 but never got around to it. I jumped on the OMD though. I love my OMD – it’s a great camera and I use those old lenses from time to time on it. I love these images, especially the shot of Kirby. Thanks for sharing your observations too, I find them really helpful (even though I’ve only got a DSLR). Thanks Vicki – I think a lot of the mechanics transfer to our DSLRs. Those computers are making most of the decisions for us though. I need to get some color film and try that out soon. I love this “new” OM. Oh I love Kirby! But I think the jars full of nests is my favorite. I would love to have that blown up and hung on my wall. I think the little yellow duck adds just the right amount of whimsy to the shot. I love it! Thanks. Kirby was pretty patient with me that day. He actually looks clean in black and white. Those jars are something I have wanted to shoot for a while. 1974 twas a very good year! Love the doggy! Your shots or “moments” of the seemingly ordinary are just great! I think you’re a true artist capturing those snippets. I love the black and white photography. 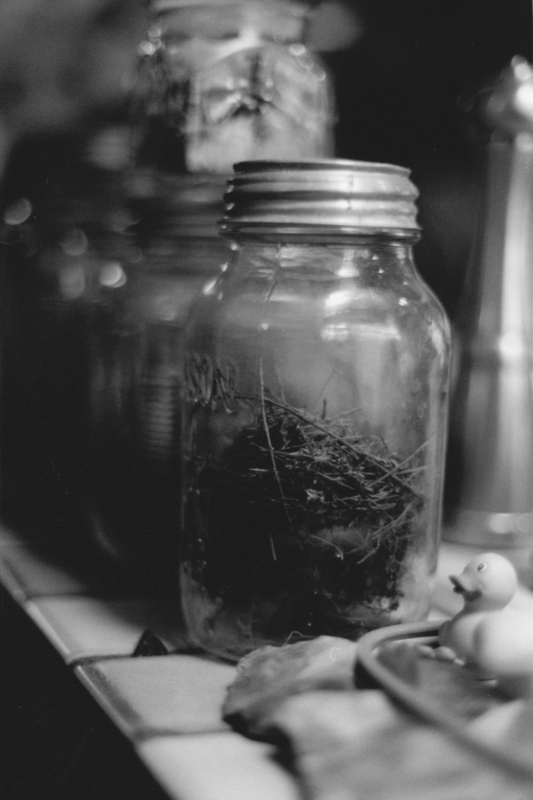 What an interesting collection you have – bird’s nests in jars. How intriguing! Thanks – I started putting them in jars when I found them on the ground after a windstorm or in the fall. One I brought home with me from a trip – they are so delicate and this lets me keep them without them becoming a mess and falling apart – my sister gave me the idea. All the pictures are awesome and I especially love the shot with the dog! He’s doing his best, “lord of the woods” pose. LOL – Kirby’s harmless, unless you are a snake. Love black and white photography, and now I feel all warm and nostalgia fuzzy looking at those film shots. Black and white or not, there’s something about film in the hands of a gifted photographer. Thanks 🙂 I do like how nostalgic black and white feels – the way you can’t exactly pin down when it was taken. I have been reluctant to shoot color, mostly because digital color is so rich – I need to give it a shot though. God I love black & white! And that picture of Kirby stole my heart! Very interesting & excellent photos! Lorri, there aren’t enough adjectives for these shots, each interesting in their own way. Kirby is my favorite. Informative and nicely done. Thanks Steph, you know I don’t think the Kirby shot is very artsy – but it’s the one I will likely print and put on the wall. Really beautiful images. The mason jar shot is my favourite too. My hubby learned to shoot with film and me on digital and it’s something he’s always impressed on me “take your time”. Shooting digitally can make you lazy and it’s so easy to say “I’ll fix it in post” but a lot of lessons can be learned from film. Thanks for this post. I look forward to reading more from you.